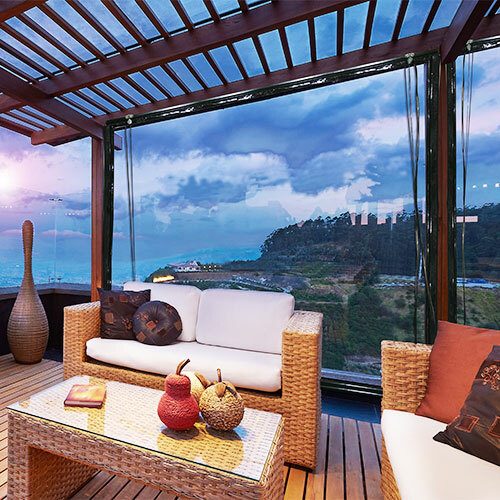 Have you ever wished you had more shelter for your outdoor areas? Then you might use them a bit more? 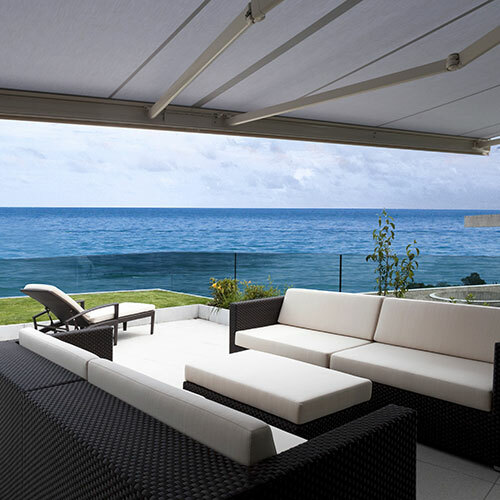 Do you have an outdoor area that you want sun, rain or wind protection from? 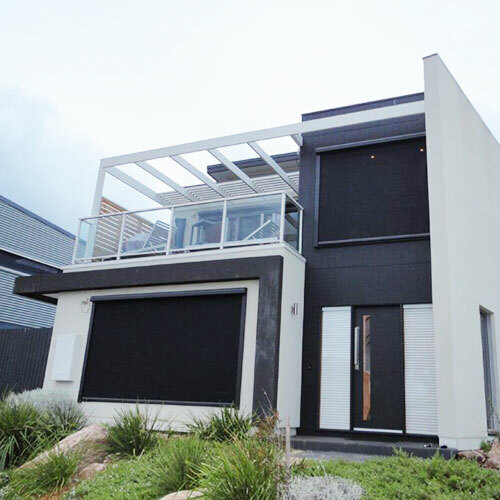 Do you want protective window furnishings but on the exterior rather than inside? Maybe you have a conservatory that could do with a blind or two? There are several different solutions we can use in exterior situations depending on what you are after, and what you want to achieve. 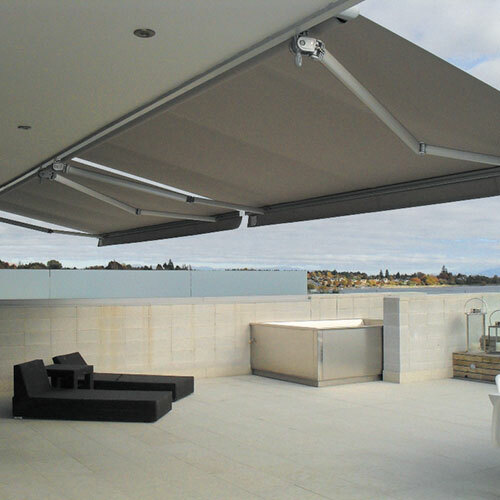 From Awnings to roller blinds to shutters there is no doubt something that will help you achieve what you are after. Give us a call today and book an appointment for one of our lovely consultants to pop out and discuss what will work best for you. 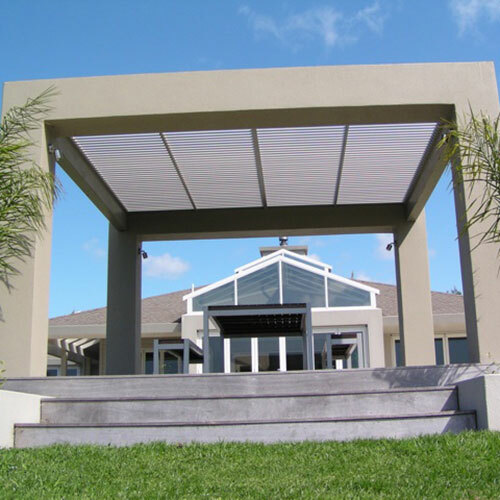 Make the most of your outdoor living areas by installing one of many styles of awnings. 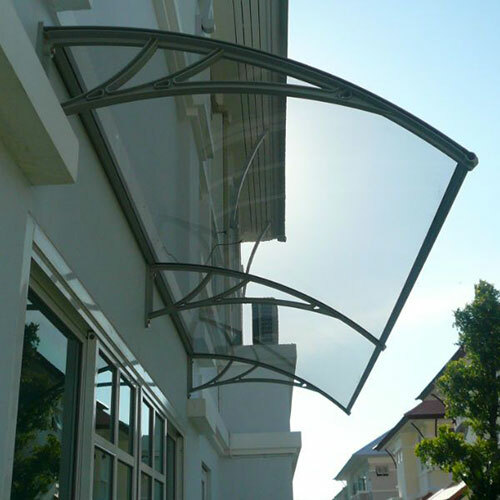 Protect yourself and your family from the suns harsh rays by installing an awning over where your children play or you entertain guests. These are also great when light showers come as you can remain outside without getting wet. Have a look at the different styles available below. Want more info? 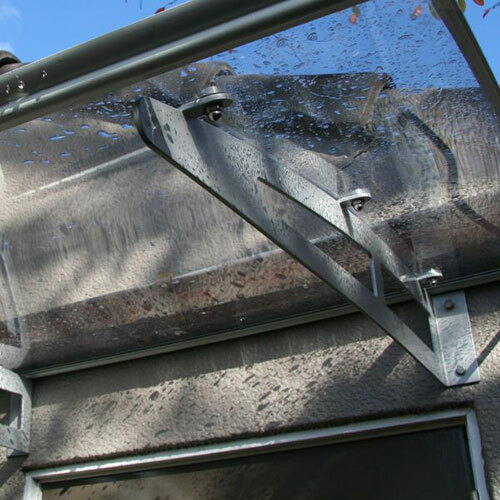 Check out our awnings page here. Or have one of our consultants come out and discuss your options with you today. Have you got an outside area you want some protection or shelter? Maybe you want a window treatment but on the outside of your windows? There is becoming more and more range of exterior blinds now available to help make this a possibility. 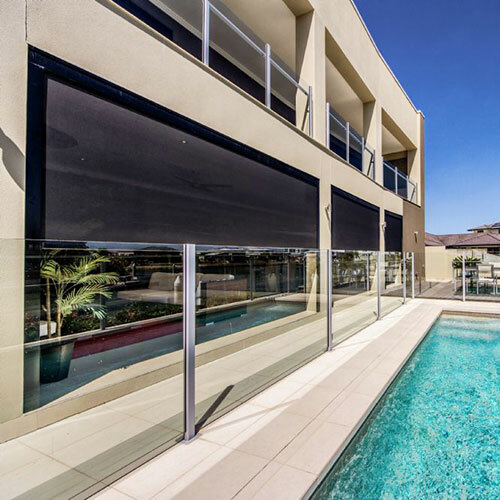 There is exterior roller blinds and screens available, giving wind, rain and sun protection depending on what you require. 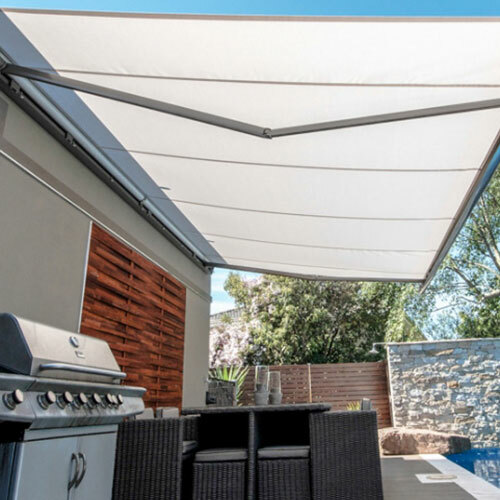 Whether its blinds around an outdoor patio to create shelter from the wind, or blinds on the outside of your windows providing both privacy and sun protection, there is something to suit your situation. Give us a call today or visit our blinds page here for more info. 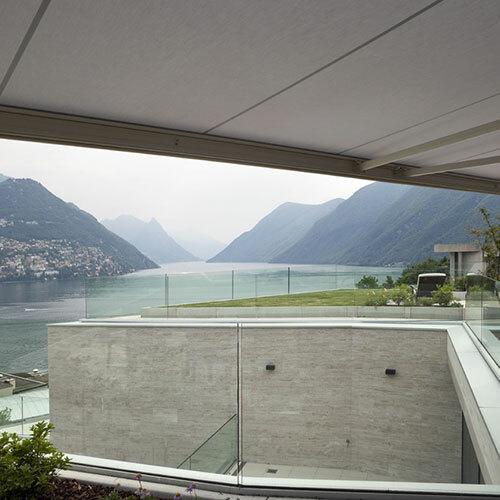 You can also visit Luxaflex's Exterior Blinds page here. Another way to offer protection from the weather and create a more usable outside space is to enclose our decks or patios with exterior shutters. Shutters are also used on the exterior of our homes as decorative panels or sliding over windows and doors to create privacy and weather protection. 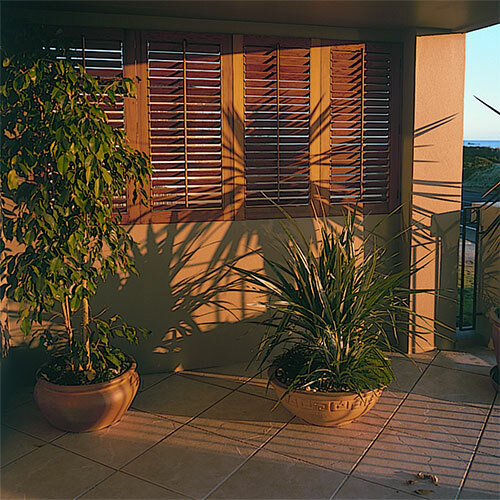 We have a large range of exterior shutters available so you can create all sorts of outside spaces and exterior styles. 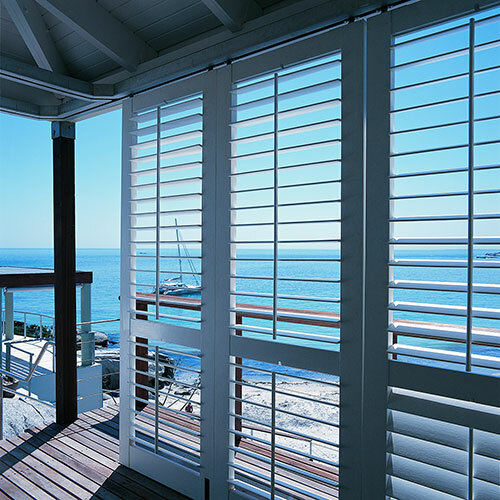 For more info on our shutters please visit our shutter page here. Or call one of our consultants to give you more info on how you can create a great outdoor space.